Kate Walker used to believe in true love and happily ever after. While her own love life may have left her brokenhearted, it hasn’t kept her from churning out made-for-TV romance movie screenplays…until a major career slump and a longing to do something meaningful send her running back to her hometown of Maple Valley. Pre-order From the Start on Amazon! 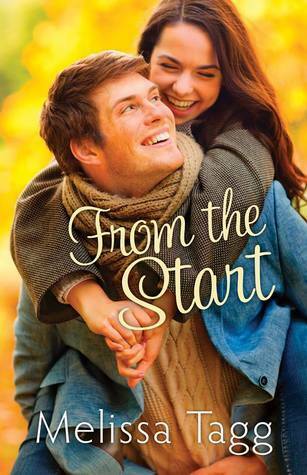 When I first met Melissa Tagg at last year’s ACFW conference, I knew of very few contemporary Christian fiction authors, including our own writer of From the Start. It didn’t take me long to become interested in Tagg’s novels—I picked up both of her novels from the ACFW bookstore before the conference finished—so naturally I had to read her 2015 novel as soon as possible. If the one week it took me to read From the Start isn’t enough of an indicator of how much I liked this book, perhaps the following phrase will: I loved this book! Tagg’s From the Start is a charming story of faith, friendship, romance, and self-discovery that delivers heartfelt lessons sure to bring a smile to all readers. We are only a few months into 2015, but I am confident in putting From the Start onto my list of favorites for the year. Tagg’s newest release is a novel reminiscent of the author herself. For all her quirky charm—including a curly-haired lopsided ponytail, love of puffy vests, and dangly bangle jewelry that pops with color—From the Start reads as if Tagg could star in the story alongside Kate Walker and Colton Greene. I don’t know if I have ever read a novel that put out a story so endearingly close to an author’s heart, and I loved From the Start for sharing so much of Tagg with me without compromising the integrity of the story. The Walkers hometown of Maple Valley, Iowa, for example, is hewn from the author’s love of her home state. I could easily visualize the quaint small town of Maple Valley and am looking forward to returning to this fictionalized but oh-so-real town for the rest of the Walker series. The cast of characters in From the Start brings the story to life. Kate and Colton, alongside the rest of the Walker family, their circle of acquaintances, and Maple Valley’s community are so endearing that I did not want to put this novel down. With all of her down-to-earth charm, Kate could be any girl’s best friend; her relationships with Megan and Ava demonstrate that Tagg knows exactly the type of friendship most women yearn for. Colton is about handsome, wounded, driven, loyal, tender-hearted, and hard-working as any female would want her hero to be. On more than one occasion I found myself wishing for a real-life Colton Greene to show up on my doorstep. Tagg knows her heroes and heroines and contemporary Christian fiction is all the better for it. Romance shines brightly Tagg’s third novel, from Colton and Kate, to the Walker parents, to the supporting characters whose own romances I cannot wait to read about in the following novels in the series. From the moment Kate and Colton enter the same room chemistry bounds off the page. With her trademark wit and humor, Tagg puts her leading characters through situations that show romantic comedy for all it should be in Christian fiction: appropriate for its demographic (i.e. in From the Start, clean but applicable to adults), sarcastic without any meanness, and quirky without being strange. I laughed aloud many times while reading this novel, which makes me want to pick up Tagg’s other novels to see what else she can possibly think of for her characters to get into. While laughter made Kate and Colton’s thrive, the passion between them is no laughing matter. Tagg created two characters whose chemistry thrives because they genuinely appreciate and care about one another. With another nod to appropriate text for both content and audience, Tagg put in scenes that respectfully balance passion with Christian principles. Tagg’s lessons in From the Start, both faith-based and otherwise, are as approachable and poignant as all the other aspects of this story. Both Kate and Colton struggle with their careers throughout the book, and as they learn to let God take control of their lives instead of direct it themselves, readers will see that trusting in His plan always brings the best results. Tagg also takes readers on a wild ride of blind faith as a Kate’s demeanor changes throughout From the Start. Once passive and protective of her heart because of past hurts, Kate shows readers how to chase dreams as she gains confidence in herself and others. Those only a few of the heartfelt lessons of the novel, From the Start brims with takeaways and lines that are bound to fill Picmonkey messages and social media messages. Female readers of all ages will love this contemporary Christian fiction novel. I heartily recommend From the Start for readers in the “new adult” age range because the situations and characters so perfectly resonate with those of us experiencing similar situations and emotions to those in the Walker clan. Melissa Tagg, author of Made to Last and Here to Stay, is a former reporter and total Iowa girl. 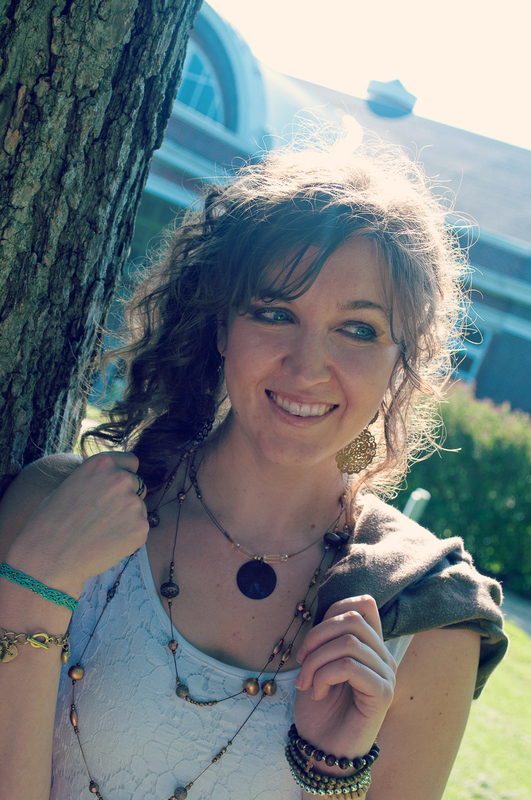 In addition to her homeless ministry day job, she is also the marketing/events coordinator for My Book Therapy, a craft and coaching community for writers. When she’s not writing, she can be found hanging out with the coolest family ever, watching old movies, and daydreaming about her next book. She’s passionate about humor, grace, and happy endings. Melissa blogs regularly and loves connecting with readers at http://www.melissatagg.com.